Don't leave the success of projects to chance. Higher Education owners managing capital improvement fund programs face a diverse range of risks that can negatively impact their projects. In a time where capital funds is tight, owners need to take proactive steps to minimize the chance for cost overruns, schedule delays, regulatory noncompliance and etc. Learn the risks that can affect your construction programs and have mitigation strategies in place to deal with them. Uncertainty in Construction. Is it avoidable? 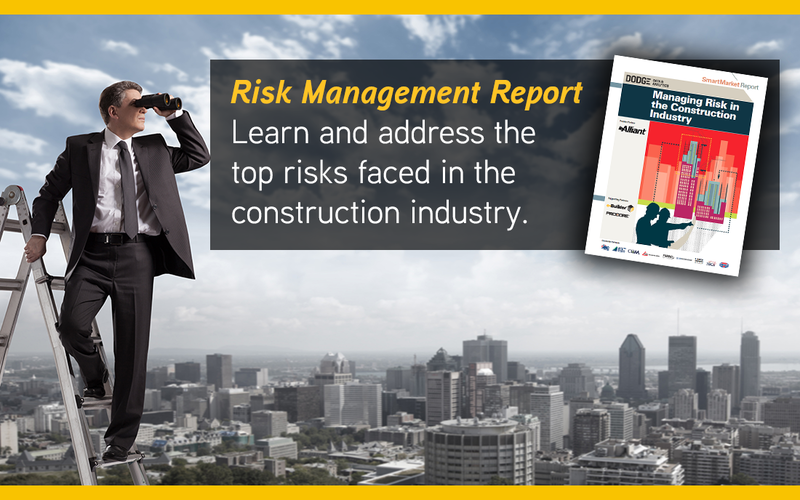 SmartMarket Report Managing Risk in the Construction Industry provides a comprehensive portrait of risk evaluation and mitigation in the construction industry. Download it for free. Watch this webinar now to avoid risk and manage unforeseen surprises effectively within your construction projects. 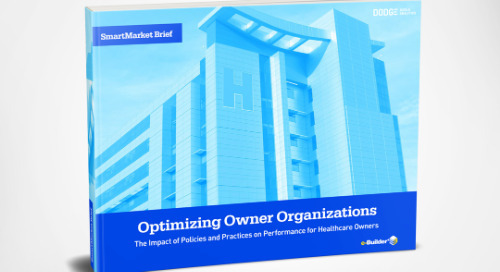 Uncover the latest industry benchmark data as it relates to building owners. Here you will learn about the frequency and causes of performance issues, and correlating the use of specific tools. 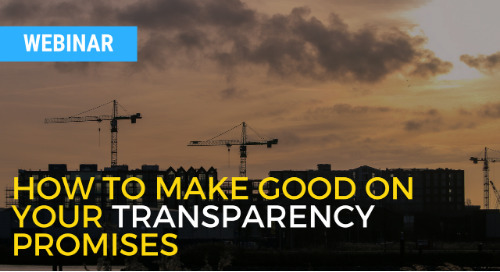 Download this whitepaper to learn the top 5 risks facing building owners managing ongoing capital construction projects. Infrastructure owners managing capital improvement bond programs face a diverse range of risks that can negatively impact their projects. 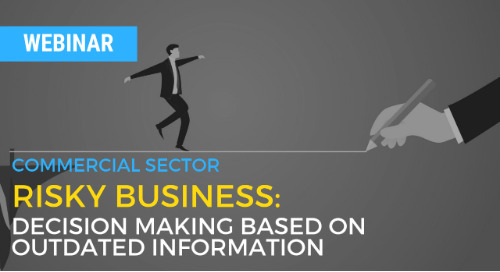 Download this whitepaper to learn the top 5 risks. Uncover the latest industry benchmark data as it relates to public infrastructure owners, including the frequency and causes of performance issues.  Download the 2017 SmartMarket Brief. 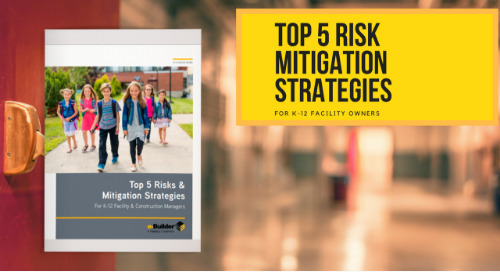 Download this whitepaper to learn the top 5 risks and see how top-performing owners within K-12 Education are mitigating these risks. 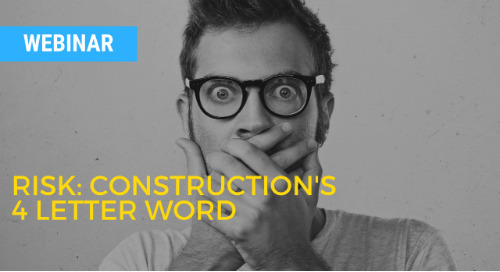 Learn the risks that can affect your construction programs.